It might seem strange why TNS wants to focus on the process when a larger than life incident confronts the country. Why a Special Report on an independent election commission at a time when the sovereignty of the country has been violated, yet another time. Truth is that we in TNS thought we could not, at this point, add anything to the unanimity of views being displayed on the streets and on television screens (Pakistan is quite incident prone anyway). During the run-up to each general election one of the issues hotly debated is the need for a truly independent election commission as a prerequisite to the holding of fair elections. Much will again be said on this subject in the coming months. Fortunately, this time around, the chances of meeting the decades-old demand are somewhat bright. 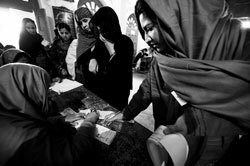 A detailed scrutiny of voting patterns recorded during the general election of 2008 suggests that the barring of women from voting has spread across Pakistan in pockets of population in urban as well as rural areas, including major urban centres. Of around 65,000 polling stations set up during the 2008 general election, 13,078 were exclusively for women — 8,418 in Punjab, 2,257in Sindh, 1,539 in KP, 648 in Balochistan, 144 in ICT and 72 in FATA. The role of minorities in Pakistan’s electoral process has always changed from time to time. With the growing intolerance in the society, non-Muslims make up less than four percent of Pakistan’s 180 million (approx.) population. These minorities are Christians, Hindus, Parsis, Sikhs, Behais and scheduled castes. These are distinct religious groups recognised as such since the British period. Later, in 1974, Pakistan declared another religious minority called Ahmadis through a constitutional amendment. The last full-scale delimitation for national and provincial assembly constituencies in the country was done before the 2002 general election under the Musharraf regime. The Election Commission of Pakistan (ECP) received 945 complaints about the delimitation of constituencies before the election. It was mainly because agencies like the National Reconstruction Bureau (NRB) had played a vital role in gerrymandering districts to create a support base for pro-Musharraf political parties and personalities. Around the globe the fairness of a country’s elections is measured against three primary benchmarks. Initially, electoral processes are considered to determine if they have been implemented in a manner that’s consistent with a state’s election law. In turn, the law’s consistency is evaluated in the light of best practices in election administration to see if it meets a country’s international and global obligations. The election-related constitutional reforms in the Eighteenth Amendment provide good protection to an independent Election Commission, neutral caretaker government and uniform election administration for national, provincial and local government elections. So, without taking anything away from the seriousness of the ‘incident’, we decided to stick to the original plan. Why does every political opponent deem it fit to declare every other day there cannot be free and fair election in this country under President Asif Ali Zardari? What has the president got to do with an election when there is — or ought to be — an independent election commission. And what does it take for an election commission to become independent. Is it the constitutionally laid down powers or is it the person of the chief election commissioner. Is it the financial autonomy or is it the appointing authority that makes it independent. We understand there is a reform plan underway and some reforms have already been effected under the Eighteenth and Nineteenth Amendments. The ECP too has come up with a strategic five year plan with 15 broad electoral reforms. These are critical areas so right now it wants the parliament to take up the reform bill soon. This we believe is a step in the right direction and one that needs to be highlighted in the media to make the election process more meaningful. Instead of dwelling endlessly on the issue of fake degrees as it did, it must focus on enhancing the independence of election commission. In this Special Report we have focused more on the declaration of assets, an issue vociferously taken up by Imran Khan’s PTI, than the election spending issue. In both cases, it turns out, the election commission has no powers. If that is true and the ECP’s role is nothing beyond holding election then there has to be some mechanism, some institution, that takes the declarations further to see if they are fabricated or not. In that sense, that is a collective institutional failure and the ECP alone can’t be held responsible. But regarding the spending on elections, the ECP has to play an active role and should have the powers to do so. Another area where we fear no reform would be effective is that of constituency delimitation which is far from perfect. There are too many areas where immediate reform is required such as barring the womenfolk from voting in elections and integrating the minorities into the mainstream electorate. We have touched only a few of these. Because we want to engage with the process and not the incident. n that the Chief Election Commissioner and other members of the commission should have the ability and the courage to hold free and fair elections regardless of the wishes and whims of the government. The first condition has been met. Pakistan now has a multi-member permanent commission, comprising Chief Election Commissioner (CEC) and four members of the Election Commission — all of them retired high court judges, one from each province. The 18th Amendment has raised the CEC’s tenure from three to five years, which should help him to discharge his functions better. The second condition, regarding the manner of appointment of the CEC and members of the commission, also has been met in principle. Under the 18th Amendment these appointments will be made on the recommendations of a parliamentary committee. This provision will come into force on the expiry of the present CEC’s term, which happens to be due in March 2012. Public trust in the Election Commission would be considerably strengthened if the parliamentary committee, which has already been formed, decided to begin the process of selecting a new CEC early in the new year. Unfortunately, the government has chosen to cause an unnecessary controversy by suggesting a two-year term for a member of the commission. This is quite unwise and the sooner it is decided to allow the commission members a five-year term the better for all concerned it will be. Two years is too short a period for a commission member to be able to do his job properly. This, because the work of the election commission is not entirely of a judicial or quasi-judicial nature, an area in which all judges are presumed to be competent; it has also to deal with many political matters that do not always lie in judicial authority’s domain. The commission members’ performance will considerably depend on the length of their tenure. While on this subject one may regret the fact that the authors of the 18th Amendment did not realise the need for bringing into the election watchdog body experts from outside the judicial ranks. A number of factors have persuaded the people to grow out of the habit of putting the entire burden of electoral matters on the judiciary’s shoulders. There is no reason why experts on election in the academia or public life cannot be selected as members of the election commission, as the CEC even. That may also clear the way for females to be named on the commission, something that is necessary to enable it to view matters from a women’s perspective, to address their legitimate concerns. And one should like to hope that some day a non-Muslim citizen too will be considered worthy of joining the election commission. As regards autonomy, the position is not clear. The constitution (Article 220) requires all executive authorities in the federation and in the provinces to assist the election commission and this provision can be used by the commission to assert its autonomy in both administrative and financial matters. But it will be appropriate to reduce the Finance Ministry’s power to interfere with allocation of financial resources to the commission. The latest demand by the election commission for equivalence in financial matters with the Supreme Court and the houses of parliament is unexceptionable and must be conceded forthwith. The position is slightly clearer in regard to the fourth condition, namely the selection of commission’s “officers and servants” (Article 221 of the constitution). In the absence of legislation by the parliament, the CEC has the power to make rules for the appointment of the staff, subject to the President’s approval, and also the power, one presumes, to enforce those rules. However, there is a need to take the appointment of the Secretary out of the executive’s jurisdiction and entrust it to an independent institution, because more often than not the election commissions have been managed largely by their Secretaries. That last condition, namely, the ability of the election commission to decide all matters pertaining to an election, once the poll date is fixed by the head of state, has rarely been fulfilled in Pakistan. And, unless this condition is met the public will neither acknowledge the election commission as an independent body nor accept an election conducted by it as fair. According to the stories one picks up in the corridors of the election authority, elections are usually held in accordance with the wishes of the powers that be. Pakistan needs strong persons of integrity to defy any executive authority or other manipulators of the electoral process. The shortcomings of the election commission noted in the past include its inability to enforce its own code of ethics, even to the extent its counterparts in Bangladesh and Sri Lanka have sometimes done (though there have been serious complaints against both in the recent past). The failure of the election commission to enforce the provisions of the Penal Code relating to electoral malpractices is nothing short of a scandal. Section 171-B declares bribing (purchase) of voters a criminal act, prohibits the use of undue influence and the other sections lay down punishment for illegal payments or failure to keep account of election expenses. One of the offences is defined as inducing or attempting “to induce a candidate or voter to believe that he or any person in whom he is interested will become or will be rendered an object of Divine displeasure or of spiritual censure”. Have these provisions of the PPC ever been honoured? Even in the absence of specific complaints the commission need not have been as helpless as it has proved to be. In short, an election commission does not become independent by merely being labelled as such. The title has to be earned by displaying the kind of dynamism and freedom of action exhibited while crying foul over bogus voters’ lists or while refusing aid negotiated over and above the head of the commission. But such bold actions only confirm the view that given the will and a modicum of integrity the rise of the election commission as the defender of fairness in the choice of people’s representatives is not impossible. General Pervez Musharraf’s eight-year tenure damaged the already limited independence, impartiality and competence of the Election Commission of Pakistan (ECP). The Legal Framework Order (LFO), which became part of the 1973 constitution under the 17th Amendment, distorted the country’s political system as well as the Election Commission. The 18th and 19th Amendments enhanced the independence of the ECP by making appointments of its key officials more transparent, whereby the chief election commissioner is appointed by the prime minister in consultation with the leader of the opposition in the National Assembly. A joint parliamentary committee that must comprise equal number of government and opposition members must approve these appointments. It is a good start to a long process of electoral reforms. International Crisis Group’s report, ‘Reforming Pakistan’s Electoral System’, published in March 2011, states that electoral reforms on all fronts in Pakistan is urgently needed. The present management of the ECP is well aware of the situation and has taken some steps to address these problems. It has held meetings with different stakeholders for over six months and in May 2010 came up with a strategic five-year plan, listing 15 broad electoral reform goals, divided into 129 detailed objectives with specific timeframes. These reforms included crucial areas such as significantly enhancing the capacity of the electoral institution and ensuring the participation of all voters through an improved electoral roll and better public information. He hopes the parliament will soon pass all major reforms envisaged in the five-year Strategic Plan before the next general election. In 564 — or 4.3 percent — of the female polling stations, the turnout was 0 percent, according to a polling station-wise voting data provided by the Election Commission of Pakistan. Of these 564 polling stations, 84.75 percent were in KP, 5.49 percent in Punjab, 4.07 percent in FATA, 3.54 percent in Balochistan, 1.95 percent in Sindh and 0.17 percent in ICT. With 166, 82, 70 and 50 polling stations, Swat, Charsadda, Swabi and Peshawar respectively stood out as districts with maximum number of polling stations where no female voter was seen. All these districts are in KP. In 157 of the 13,078 female polling stations, the turnout ranged between 1-5 percent. A majority of these polling stations were in KP (63), followed by Balochistan (48), Sindh (20), FATA (14) and Punjab (12). 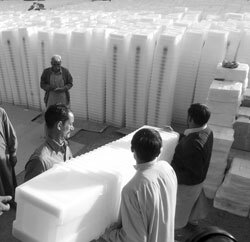 Quetta had the maximum number of polling stations where the turnout ranged between 1-5 percent at 40 polling stations. Overall, 541 (or 75 percent) of the 721 polling stations with low female turnout (between 0-5 percent) were in KP. Four of the top five districts with maximum number of such polling stations were also in KP — Swat (181), Charsadda (88), Swabi (71) and Peshawar (66). In this context, Balochistan’s Quetta district followed with a total of 42 polling stations with low female turnout. Article 25 of the Constitution of Islamic Republic of Pakistan speaks about the equality of all the citizens whereas Article 36 provides for the promotion and protection of political rights. Nevertheless, under Article 41.2, certain minority groups are not allowed to hold certain public offices such as those of the president, the prime minister and provincial governors, which is a clear case of discrimination. The narrative of constitutional and legal discrimination in the name of religion continues into Articles 2(A) and (B) and Article 41 which render the minorities as less preferred citizens. A few years ago, the separate electorate system was in practice for the minorities, which barred them from entering the mainstream politics. Under the recent system of proportionate election, 10 reserved seats are distributed among the political parties which nominate the minority members of their own choice. “The overall environment of the country is not conducive for the minorities, let alone the constitutional/legal factor,” says Samson Salamat, Director, Centre for Human Rights Education, an NGO. Religions minorities have frequently complained about the manipulation of records and registration of voters and the holding back of National Identity Cards by the employees or power brokers. In the past, the voters’ lists were segregated on the basis of religion which made it difficult for the voters to identify the right polling stations and exercise their right. In the local bodies’ election of 2005, the issue of political isolation was resolved for the voters; however, the seats in the Union, Tehsil and District councils were still reserved on the basis of religion. Non-Muslim councilors were ignored in the formation of sub-committees. Samson urges the government and the ECP to conduct an impartial and independent research with the help of international experts to determine the socio-political reasons of insufficient participation of minorities in the politics of the country. “The social segregation of religious minorities has been the chief reason for their low participation in electoral processes… Lack of awareness on the part of the community also needs to be dealt with by having special awareness campaigns for religious minorities,” he says. Ahmadis are the most disadvantaged. The voters’ lists of the community people were separated in the last general election. As a protest, they have always boycotted elections. Appropriate measures need to be taken for the true representation of the minorities because “selection on minority seats” is not a healthy norm and is against the spirit of joint electorates. Besides, says Samson, it is also against the spirit of modern liberal democracy and a representative democracy. The last population census, held in 1998, served as the basis for this demarcation of constituencies, although a new census should have been held in 2008, it has not been completed yet and, according to an ECP official, the election authorities cannot carry out a fresh delimitation exercise. “Constitutionally, the ECP is bound to revisit constituencies’ limits after every census. So far, it seems we shall have to hold the next elections on the basis of the 1998 census as the Pakistan Census Organistaion (PCO) has only carried out household counting and not started head-counting yet,” the official tells TNS, requesting anonymity. The Delimitation of Constituencies Act 1974 — the law that governs this process — clearly states that all constituencies shall, as far as practicable, be delimited with regard to the distribution of population in geographically compact areas, existing boundaries of administrative units, facilities of communication and public convenience and other cognate factors to ensure homogeneity in the creation of the constituencies. By law, the Election Commission of Pakistan (ECP) must also ensure that all constituencies “as far as may be possible… shall be equal among themselves in population.” However, on ground there is extensive variation of size and population between the Federally Administrated Tribal Areas (FATA) and other constituencies in the country and also among the National Assembly constituencies in all other provinces. There are some constituencies that stretch over an area of 700 kilometres and others on merely a few kilometres. The number of registered voters in, for instance, NA-266 Nasirabad/Jacobabad is 651,356 which is in sharp contrast to NA-38, Tribal Area III’s 87,933. However, according to an ECP official, political parties are the main hurdle in the process of a fresh delimitation of constituencies. “Political parties are never satisfied with the delimitation of constituencies,” he tells TNS. “They always want to redesign constituencies to neutralise the support base of other political parties. You will be surprised to know that in Karachi there is not a single constituency where Urdu speaking (Mohajar) population is more than 60 percent of total population although there should be at least four constituencies where their population should be more than 80 percent but the MQM has managed to divide their support base in all different constituencies in order to get maximum seats in the city. Now the ECP has planned to introduce GIS system along with the traditional system to demark constituencies. The process can only be started once the results of the census, which hopefully will be furnished by the end of next year, are provided to the ECP. “To delimit constituencies on the basis of voter lists instead of census data, we need parliament to amend the present rules and regulations. I do not think they are going to do it as all of them have benefitted from the present process. You need to understand that census data is not verified and it is easy for people to manipulate it while votes are registered on the basis of documents (now according to NADRA data) and it is impossible to manipulate it,” Rizvi explains. The Pakistan Census Organisation (PCO) has so far conducted house-counting and the data indicates a lot of variations in different areas of country. According to details, the census blocks (a census block consists of around 250 houses) in Pakistan have increased to 139,872 in 2011 from 1998’s 102,295, witnessing a 37 percent increase. Interestingly, Sindh has witnessed the maximum — 67 percent — increase. FATA is on the second position with 48 percent increase. The most revealing data is about the increase in census blocks in the cities. Hyderabad and Karachi, both strongholds of MQM, have seen an unprecedented rise in census blocks with 91 and 81 percent respectively while Lahore, with only 26 percent increase in census blocks, is at number 8 among the top ten cities of the country. “If we follow the current formula, the National Assembly seats of Sindh, especially the urban areas of the province, will increase by a good number while all political parties have regularly expressed their concern over delimitation of Karachi constituencies that favour MQM candidates. I want to let you know that the maximum number of unverified votes has also been identified in Sindh province,” says another official of the ECP. Renowned political scientist Dr Muhammad Waseem believes that all major political parties in Pakistan, except perhaps Tehreek-e-Insaf, do not want to disturb the present delimitation of constituencies. “They all have their geographical territorial stakes and do not want to disturb them at least before the next general election. Fresh delimitations render areas and constituencies unpredictable. For example, in Karachi, the MQM which has a support base only in the Urdu-speaking community, around 49 percent of the total population of the city manages to win 18 out of 20 seats,” he says. Pakistan Tehreek i Insaf (PTI) Chairman Imran Khan’s call to politicians to declare their assets has been received ‘variously’. While there has been public support for this demand, Imran’s opponents say he should know that the parliamentarians have already made this declaration. His opponents call PTI chairman naïve for missing the point. But his supporters insist this is not the case and that Imran means “accurate declaration” when he talks about the assets. The question that arises is whether the Election Commission of Pakistan which collects assets details from members verifies the accuracy of their claims or not, and whether there is any mechanism in place to effectively probe and punish those making false claims. Intazar Mahdi, a Lahore based lawyer, tells TNS that Section 42 (A) of The Representation of The People Act requires all elected members to submit statements of assets and liabilities of their own, their spouses and dependents annually to the Election Commission by a specific date. The Commission can notify the names of the members who fail to file statements of assets and liabilities within the period specified, he says, adding that these members shall cease to function under an order till such statement is submitted. According to Mahdi, the law also prescribes punishment to those whose statements are found to be false. These culprits may be proceeded against under section 82 of the Act. The abovementioned section states that any person guilty of a corrupt practice shall be punishable with imprisonment for a term which may extend to three years, or with fine which may extend to five thousand rupees, or with both. Bilal adds that it is very difficult for a common man to have access to these details as the Election Commission sends them for notification in the official gazette which is printed in Karachi. Besides, the process to get copies is quite complicated. Former secretary election commissioner Kunwar Dilshad confirms that all the commission can do is to collect asset declarations from each and every member, which is a tough task. The Commission does not have the powers to probe them, he says. Dishad says that ordinary citizens, civil society organisations and political parties who are not satisfied with assets details of a member can challenge such declarations in the court of concerned District and Sessions Judge. The court can decide the matter and the details available with the Commission form part of the court records. Hafiz Muhammad Yousaf, Vice President (North), Institute of Chartered Accountants of Pakistan (ICAP), believes that assets declaration by politicians is a myth that should be busted. There should be other requirements which may be included in the election commission rules to make it more effective and result-oriented. For example, he says a member should be asked to furnish his expenditure details and asked about the source of funding. If a member travels abroad frequently, lives in a furnished bungalow, travels in luxury cars and declares relatively low-value assets he should be questioned. According to Yousaf, the Internal Revenue Service (IRS) in the US asks suspected tax evaders about the source of funding in case their personal wealth and income do not correspond to the amount they spend on themselves. In any case they have to declare from where the differential amount is generated and pay the penalty for hiding these details. Yousaf adds that assets declaration exercise in the existing form is hardly of any use. What he suggests is that the parliamentarians should also be asked about the transfers/disposals they made over the last five years or so. If a politician transfers property worth millions of rupees to his son before contesting an election, he should be asked to mention that in documents submitted to the election commission. Suggestions coming from the ICAP vice president seem highly relevant keeping in view what happens in our country. One may recall the statement made by the spokesman of a political party leader that his (leader’s) daily expenditure is Rs 3.5 million. This politician pays Rs 5,000 under income tax in a year. Sudden transfer of assets to relatives before contesting elections hints at the criminal intent of a person’s mind, says Mahdi while trying to draw a parallel with the criminal law of the state. Mahdi says that hardened criminals transfer their property to immediate relatives before committing heinous crimes like murder and then disappearing. He says the law empowers the state to confiscate the property of a proclaimed offender. In order to offset this, they transfer it to someone else before committing a major criminal act. Frustrated by such moves, the police often burn standing crops and structures built on proclaimed offenders’ properties, transferred to their relatives with the above-mentioned objective in mind. The Election Commission laws must also pre-empt all moves made by politicians with the intention to dodge organs of state, Mahdi suggests. However, there is still a need to provide constitutional protection to some other aspects of elections as well. Following the constitutional reforms, the real challenge ahead is the reforms in election-related legal framework. The parliament and its committees, the ECP, political parties and civil society need to focus their efforts on shaping the electoral reforms legislation in order to improve the quality of elections in the country. Such efforts are also required to make the legislation consistent with the changes in constitution, internationally acknowledged best practices and global obligations. At present, eight laws govern elections in Pakistan. These fragmented and inaccessible laws need to be merged into a single law with appropriate amendments. 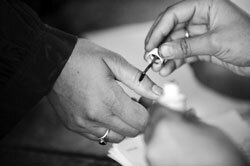 The new legislation or amendments to the existing laws should focus on all aspects of elections — from the code of conduct, electoral management, boundary delimitation, voter education, nominations, political finance, voter registration and voting processes to dispute resolution and observation of elections. But among all these factors, the most crucial and important is electoral management since it deals with impartiality and independence of election arbiters. The impartiality of the institution responsible for conducting elections is an essential component that ensures success. While the structures of election commissions vary from country to country, commissions considered most successful demonstrate both a ‘perceived’ and a ‘real’ tradition of impartiality at all levels of the organisation. Without a foundation of impartiality and the election administrators being genuinely regarded as fair arbiters, neither the voters nor the candidates can be fully certain that the ‘rules of the game’ have been followed and that the candidates selected by the people have won an election after all the ballots have been counted. All stakeholders in the election process in Pakistan agree that the system under which the ECP members and officials are appointed and operate requires further reforms to ensure genuine independence. For instance, the term of members of the Election Commission should be set for five years, equaling that of Chief Election Commissioner. Election Commission’s control over rules and regulations is another crucial factor that legal reforms should concentrate on. Legislation drives electoral process, offering a basic framework for how polls should be conducted. In turn, rules and regulations provide essential details that are not suitably contained within the law. They ensure that those conducting the elections are better able to respect the principles within the law while outlining clearly for all stakeholders what they can expect over the course of an election cycle. As it currently stands, legislation fails to provide the ECP with the independent authority needed to establish election rules and regulations. With the ECP having to seek approvals from the president or the federal government for making election rules and regulations, the existing provisions do not meet the benchmarks established for international best practices. The law needs to be changed to ensure that the Election Commission wields the authority to formulate election-related rules and regulations that allow it to carry out the dictates of election law. To make the ECP meaningfully empowered and independent, it should also have control over election budget and its institutional structure. Granting budgetary control to the Election Commission is imperative to reinforcing its impartiality. In the year 2000, the federal government gave the CEC powers to manage its own budget through a notification. The authority includes spending without limit, re-appropriating funds from one head to another, changing the nomenclature of any post in the Election Commission and upgrading or downgrading any post. This notification can be withdrawn by the government at any time, leading to circumstances under which the Executive ultimately has control over the ECP’s budgetary arrangement. The current arrangement is unacceptable as it undermines the independence of the Election Commission; therefore, it is necessary that financial autonomy to the ECP be granted in law including the authority over approval of its budget, the maintenance of accounts, the creation of posts, and authority over supplementary grants. The Election Commission’s independence as an institution can be further enhanced by reassessing the control it has over individuals appointed to organise and implement the components of an election. Current legislation obfuscates this authority by establishing that the ECP must appoint its District Returning Officers (DROs) and Returning Officers (ROs) from among officers of agencies and corporation of the Federal and Provincial governments. In fact, this practice runs contrary to current international obligations for elections in that it fails to offer all citizens the opportunity to participate in public affairs. The practice of involving the judiciary in election administration also creates an imbalance in the system. While members of the judiciary are respected within the community, their participation in administering elections leads to a conflict of interest in circumstances where judiciary is called upon to mediate election disputes. To correct the current imbalance, the ECP should be given the authority to appoint both DROs and ROs from among all citizens, not only from among those engaged by federal or provincial entities. The law should establish the Election Commission’s power, both to recruit and to dismiss temporary staff on terms and conditions to be determined by the commission and as deemed necessary by it for the purpose of conducting elections. While this should not exclude the participation of government officials, the ECP’s authority to “deputise” so as to direct, sanction and remove members of the civil service seconded to assist in the conduct of elections should be strengthened in a manner that reinforces its impartiality in elections. Further, the law should state that serving judges of the superior and subordinate judiciary can no longer be appointed to the positions of DROs and ROs so as to avoid any conflict of interest that may arise. Authority over government entities is another integral pillar of an election commission. The independence of such commission is reinforced when it has the capacity to control all the constituent parts of an election and all actions that are taken as the election unfolds. To achieve this goal, the ECP requires a clear legislative mandate which ensures that government entities, including government agencies and security forces, do not interfere with electoral processes for the purpose of party control or for personal interests and that they would act only in a manner prescribed by the ECP. If government entities interfere inappropriately, the ECP should have the authority to initiate legal and/or disciplinary proceedings against any government official involved. 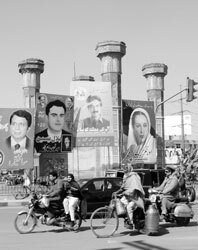 Recent electoral processes have shown that government entities continue to intervene in Pakistan’s electoral processes. While Election Commission’s impartiality is essential to the success of an electoral process, the commission must also be accountable to other election stakeholders and institutions. In the same way that the Election Commission requires the authority to ensure other election stakeholders are following election rules, the activities of the Election Commission must be held to account. Parties, candidates and citizens who cast their ballots and media must all be given full opportunity to evaluate an election commission’s activities. Two additional measures within the election legislation would reinforce this goal. First, it should be established in law that, subject to reasonable restrictions, the ECP must allow public access to its records, meetings and allow for public consultation in decision-making process. Second, law should establish that the ECP must issue regular reports to the Parliament annually and following each election.